Spectacular top-to-bottom renovation replete with today~s style and on-trend finishes. 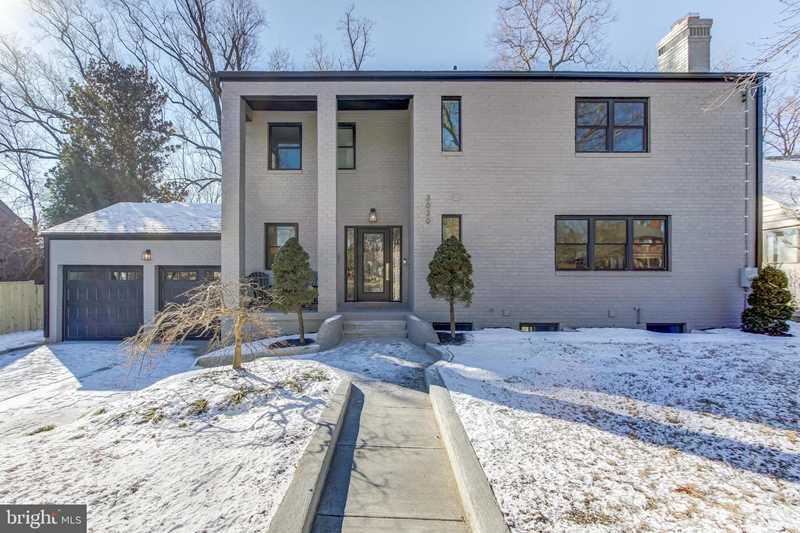 Flooded with natural light, this 6 bedroom, 4.5 home in the Hawthorne neighborhood of Chevy Chase DC, boasts the latest energy-saving technology, an open floor plan, a gourmet kitchen, a sunny lower level, 2 levels of outdoor entertaining space and a hard-to-find 2-car garage. Perfectly sited on a fenced quarter-acre lot near Rock Creek Park and close to shopping and major transportation routes, this exceptional property is a prime example of urban living at its finest. Directions:Western Ave., turn right onto Chestnut, ab out 4 blocks on the right. SchoolsClick map icons below to view information for schools near 3030 Chestnut St NW Washington, DC 20015.